Hey DC: Axios tomorrow kicks off three back-to-back-to-back breakfasts, with a discussion of responsibility in tech. Guests are Sen. Mark Warner, former U.S. CTO Megan Smith and Seattle CPO Ginger Armbruster. RSVP here. Wednesday we're talking how 5G will change the world, and Thursday is a discussion on healthcare market innovation. • Naming rights: Bayer expects to close its $62.5 billion takeover of Monsanto this Thursday, at which point it will retire the Monsanto brand. • Picking winners: Chara Solutions, a Louisville, Ky.-based provider of environmental and maintenance services to coal and nuclear power plants, just set terms for an IPO that is expected to price later this month. At the $17 per share midpoint, it would have an initial market cap of $511 million. One big variable is a pending federal bailout for Charah's target customers, as President Trump on Friday asked DoE to prep an economic aid package for troubled coal-fired and nuclear power plants. Bloomberg says it would "represent an unprecedented intervention into U.S. energy markets." • Something new: Singapore sovereign wealth fund Temasek is launching a private equity funds bond that has a tranche aimed at retail investors, which is believed to be the first-ever such structure. More from The Straits Times. Microsoft has agreed to buy Github, a San Francisco-based software development platform and community, for $7.5 billion in stock. Microsoft exec Nat Friedman (founder of Xamarin) takes over as CEO, while current GitHub CEO Chris Wanstrath becomes a Microsoft technical fellow. Why it's the BFD: This is Microsoft's fourth-largest acquisition, following LinkedIn, Skype and Nokia's phone biz. GitHub has only raised two rounds of funding, from firms like Andreessen Horowitz, Sequoia Capital, IVP and Thrive Capital. Its last post-money valuation was $2 billion. The $7.5 billion price will not fluctuate with Microsoft stock, as the number of shares will be normalized at the time of closing. Bottom line: "Microsoft, which once saw open source as its enemy, has done a full 180. Its Azure cloud operating system treats Linux as a first class citizen and the company is increasingly trying to appeal to all developers. 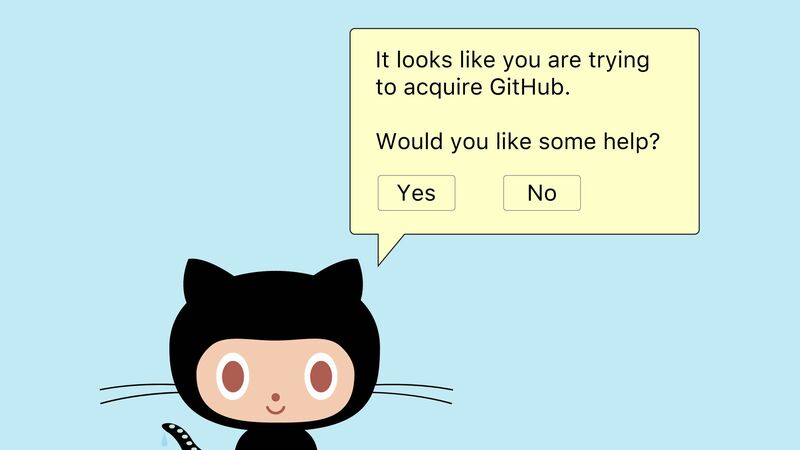 Buying GitHub would get it even tighter with that crowd." — Axios' Ina Fried. Read more of her deep-dive. • Accuride, an Indiana-based portfolio company of Crestview Partners, has acquired Wheels, a German provider of steel wheels to the European and Asian markets. • Interior Logic Group, an Atlanta-based portfolio company of Littlejohn & Co., is merging with Interior Specialists, a Carlsbad, Calif.-based portfolio company of Platinum Equity. The companies provide installation services to homebuilders, multifamily owners and big box retailers. ⛽ AFG Holdings, a Houston-based provider of pressure pumping and managed pressure drilling systems, has filed for a $100 million IPO. It plans to trade on the NYSE (AFGL) with Goldman Sachs as lead underwriter. Backers include The Carlyle Group, First Reserve and Stellex Capital Partners. The company reports $7.5 million of net income on $170 million in revenue for Q1. Bottom line: Other private tech companies were closely watching Spotify’s approach, for which price stability was a major test. It passed. Thanks for reading. If this email was forwarded to you, please subscribe at GetProRata.axios.com. Also remember that you can send scoop and feedback via email (dan@axios.com) or anonymous tip (http://axios.com/tips).